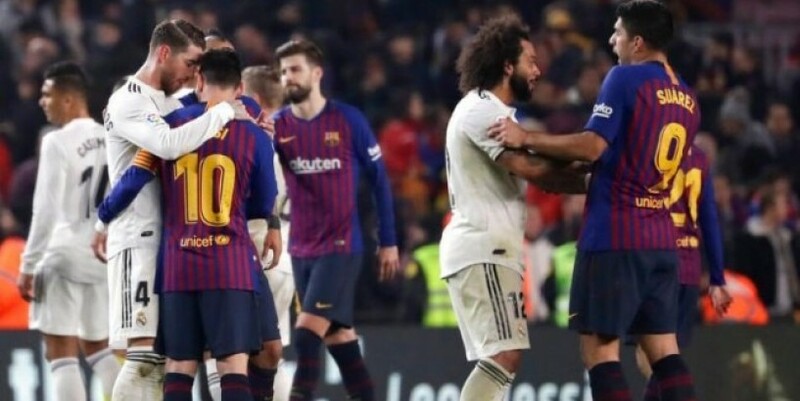 The second leg takes place on February 27 at the Santiago Bernabeu (AP Photo) HIGHLIGHTS Malcom's second half strike secured Barcelona a 1-1 draw with Real Madrid in the Copa del rey semi-final first leg Malcom scored the equaliser in the 58th minute after Lucas Vazquez had fired Real Madrid ahead early on The result leaves the Copa del Rey semi-final evenly poised Winger Malcom's second half strike secured Barcelona a 1-1 draw with Real Madrid to leave the Copa del Rey semi-final evenly poised on Wednesday after the first leg. "The goal will give (Malcom) a lot in terms of confidence, we hope that everyone in the squad can help us." The second leg takes place on February 27 at the Santiago Bernabeu.